Wader Quest: Wader Quest South Africa and the Gauteng Challenge 2014! 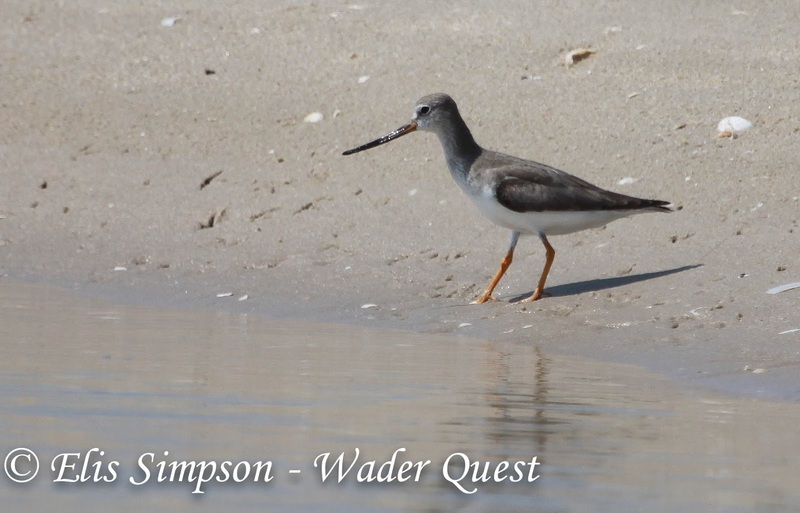 Wader Quest South Africa and the Gauteng Challenge 2014! 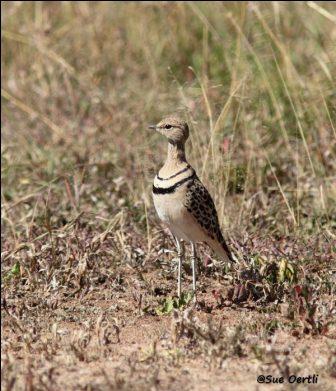 Sue Oertli, one of the Wader Quest South Africa team has set herself a challenge and hopes to raise money for Wader Quest at the same time. 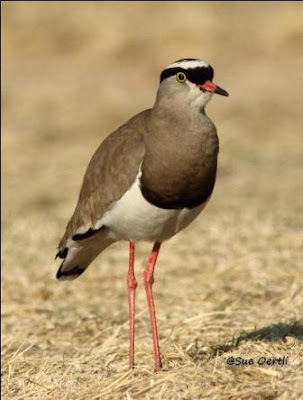 Gauteng is the smallest province in South Africa within which lie both Johannesburg and Pretoria, with a bird list of 521 species. The year list record, reached this year, is 454 species. 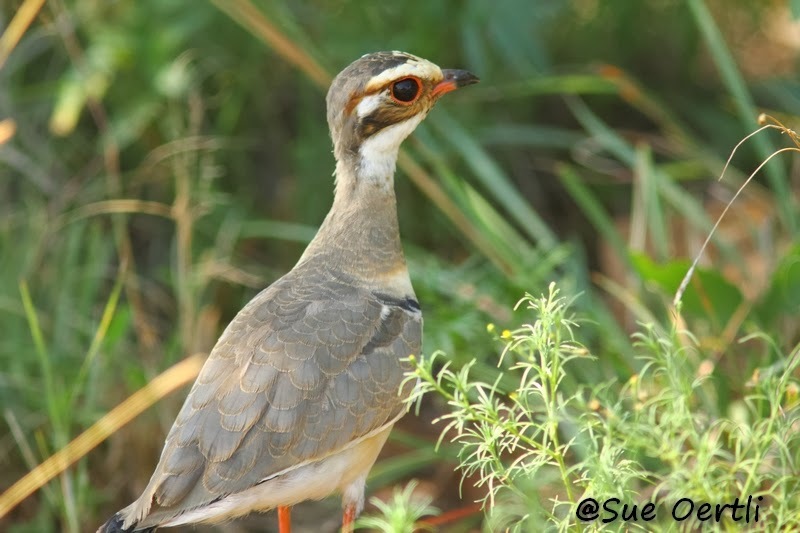 Sue has set herself the challenge to see 400 species in the province in 2014 and includes within that Challenge, the task to see & photograph all of Gauteng’s 40 odd wader species. There are some real beauties too Bronze-winged Courser & Black-winged Pratincole to name but two. Bronze-winged Courser Rhinoptilus chalcopterus; a bird that we didn't see in South Africa! 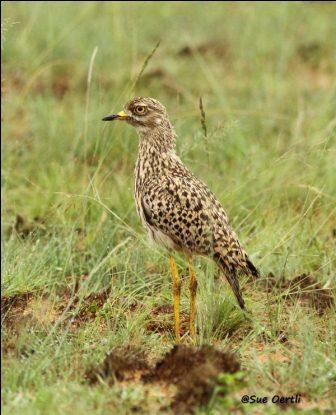 Some will be easy to see like Crowned Lapwing and Spotted Thick-knee near her home. 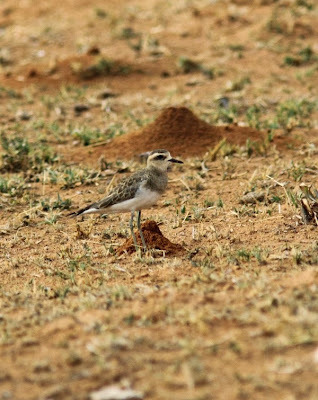 Caspian Plover Charadrius asiaticus; another we didn't see, bah! There is a Terek Sandpiper at the northern boundary of the Challenge area at the moment that is very rare to see so far inland, fingers crossed that it will still be there on the 1st of January 2014 for Sue. Terek Sandpiper Xenus cinereus; taken in Thailand November 2013. We will keep you updated with her challenge and hope that she will be sending us some more marvelous photographs to illustrate these updates of the waders she has seen. Good luck Sue, we look forward to hearing about your successes.